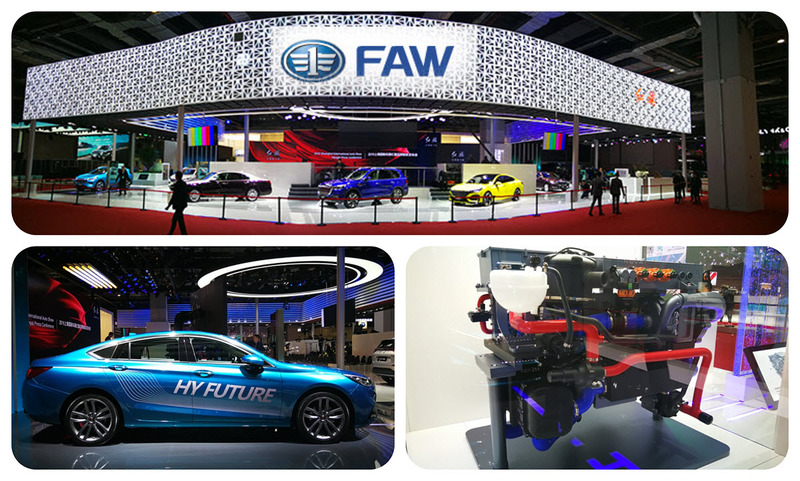 At the 18th Shanghai International Automobile Industry Exhibition (Auto Shanghai 2019) FAW Group Corporation (FAW) unveiled the world premiere of of Hongqi SUVs and whole product lineup of Hongqi and Bestune brands. 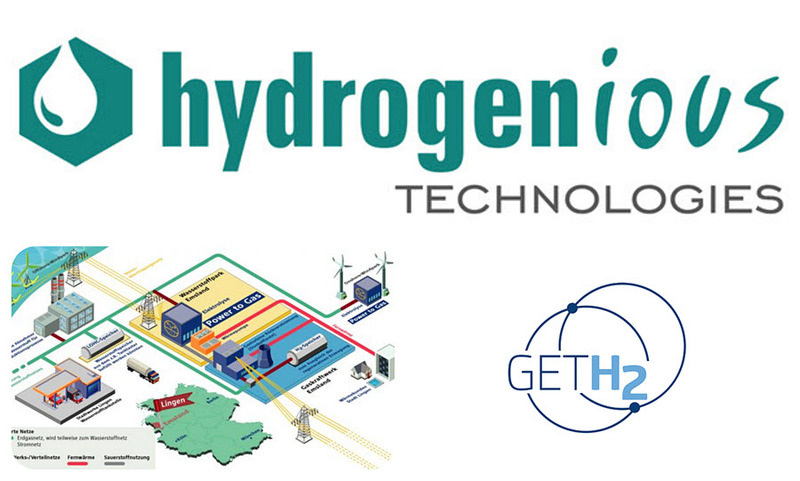 The GET H2 initiative, which brings together RWE Generation SE, Siemens, ENERTRAG, Stadtwerke Lingen, Hydrogenious Technologies, Nowega as well as Forschungszentrum Jülich and IKEM – Institute for Climate Protection, Energy and Mobility, aims to use hydrogen to advance the energy revolution. 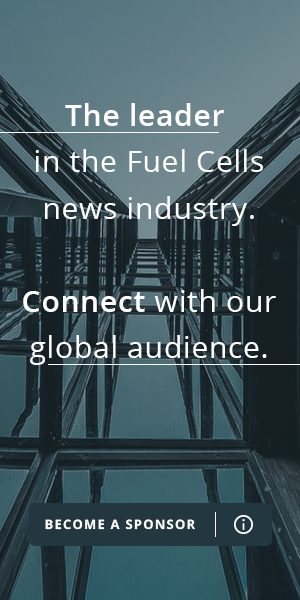 Green hydrogen plays a key role in the energy transition, as it can be the connecting element between the electricity, mobility and industry sectors. For these potentials to unfold, efficient processes for the storage and transport of green hydrogen are necessary. Nikola and Bosch develop fuel cell powertrain for the Nikola Two Alpha– together. Nikola trucks feature Bosch innovations such as Mirror Cam system, Perfectly Keyless and Servotwin steering system. “Bosch has been our innovation partner to help make our vision a reality.” – Trevor Milton, Nikola founder and CEO. Matthew Klippenstein (@ElectronComm) reporting for FuelCellsWorks.com. 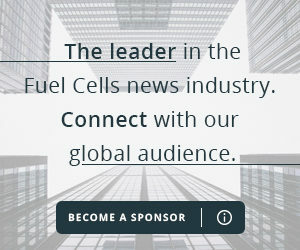 The 15th annual Fuel Cell Expo — the world’s largest — was held this past February in Tokyo, anchoring the World Smart Energy Week conference. Attendance topped 66,000 over the three-day event, which featured more than 2,500 exhibitors spanning fuel cells, batteries, solar photovoltaics, wind, smart grid, biomass and even thermal (!) power generation. Arcola Energy, a leading UK clean-tech business working in hydrogen and fuel cell technology, has secured 15,000 sqft newly-built premises for expansion in to the Liverpool City Region borough of Knowsley. 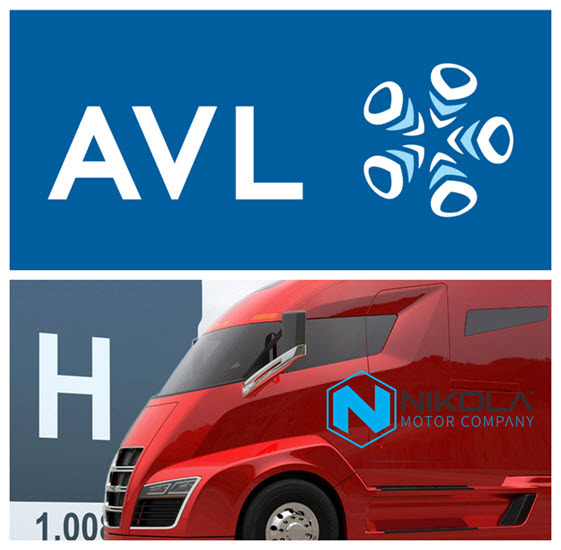 AVL Test Systems, Inc. has been awarded the contract to provide electrification and fuel cell testing equipment to Nikola Motor Company (“Nikola”) for the first phase of its fuel cell development laboratory in Phoenix, Arizona. In its Presentation of 2018 Sustainability Performance and goals for 2019, Anglo American laid out its plans for addressing the low-carbon economy as it pertains to Anglo and its “FutureSmart Mining”. Tony O’Neill Technical Director, Anglo American announced that the company was working on an innovative solution to power its haul trucks by hydrogen using solar panels. 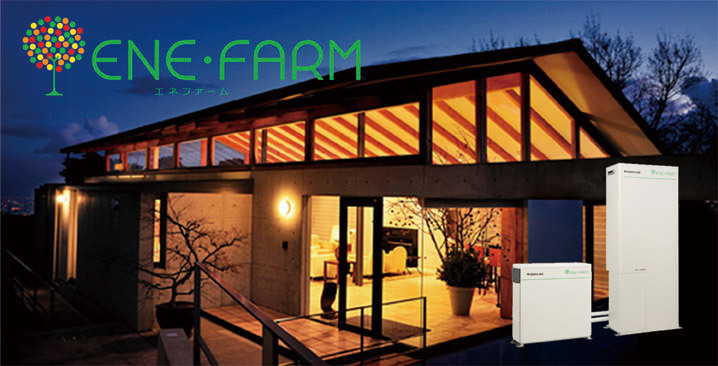 Helbio will be delivering and installing at EDA premise a 2.5 kW CHP system based on reformate hydrogen production via steam reforming of Natural Gas and Low Temperature PEM fuel cell for outdoor operation. The principal specifications of the system are the rated electric power production capacity of 2.5 kW and the rated thermal power production capacity of 3 Kw. The order value is EUR 35,000. 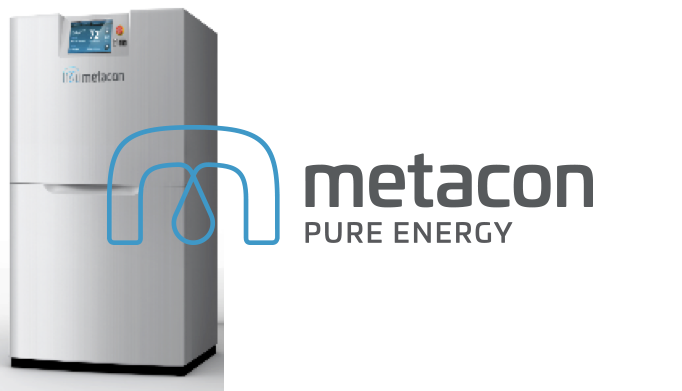 OKLAHOMA CITY–Newpoint has taken unprecedented action to develop and integrate processes to produce clean water, electricity and a hydrogen energy source from zero-emissions natural gas technologies. Principles of the company are targeting an end to end system demonstration by the close of 2019.